Kevin Hart walks on the red carpet the NFL Honors held at the Cyrus Northrop Memorial Auditorium at the University of Minnesota on Feb. 3, 2018 in Minneapolis, Minn.
A viral campaign to gain recognition for a Nigerian artist took just two days to reach its intended target. 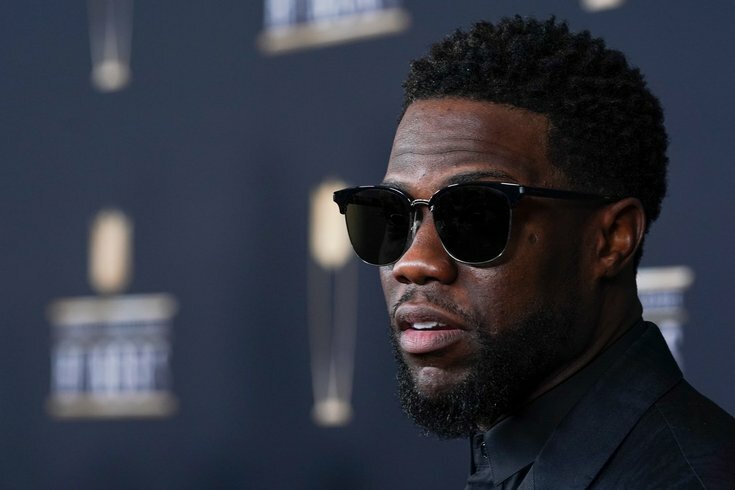 Comedian and North Philadelphia native Kevin Hart is now going to purchase his own likeness from the aspiring fan. On Monday, Eli Waduba, an artist based in Kaduna, Nigeria, shared a picture on Twitter of his pencil drawing of Kevin Hart. Waduba hopes that he can see his career blossom like that of fellow Nigerian artist Arinze Stanley, whose work is at the forefront of a hyper-realist movement characterized by near-photographic detail in drawings and paintings. It took Hart just two days to see the portrait and decide he wanted to buy it. Not only that, but Hart is commissioning Waduba, 26, to draw three of his celebrity friends for gifts. "I hoped he would see it and actually believed he would see it someday," Waduba told CNN. "But I did not know it would happen so fast." Waduba, who has been drawing since he was 9, works full-time as an artist since graduating from Kaduna State Polytechnic with a degree in Cooperative Economics and Management.